CollectIn Texas Gal: Sick In The Head? There's A Pink Cure! "A lady who has been troubled with the neuralgia in her head, used a bag of hot oats at night as a pillow. She says: "heat the oats in a kettle over the fire, or in a pan in your oven. I have never been troubled with neuralgia any place but in my head so I cannot say how beneficial it would be for neuralgia in other parts of the body." Another cure is drinking hot lemonade." Yes, I was an Army wife, and some might have said I was 'Sick in the Head', but a couple of Tylenol sure worked better than a 'Bag of Oats Pillow'. Sure makes me glad I was a 20th Century Army Wife and not a 19th Century Frontier Army Wife. You might be wondering what 'Sick In The Head' has to do with my Pink Saturday Post about Valerian! Well, I found this stand of Valerian growing in The Frontier Army Wife...Mrs. Alice Grierson's Herb Garden. 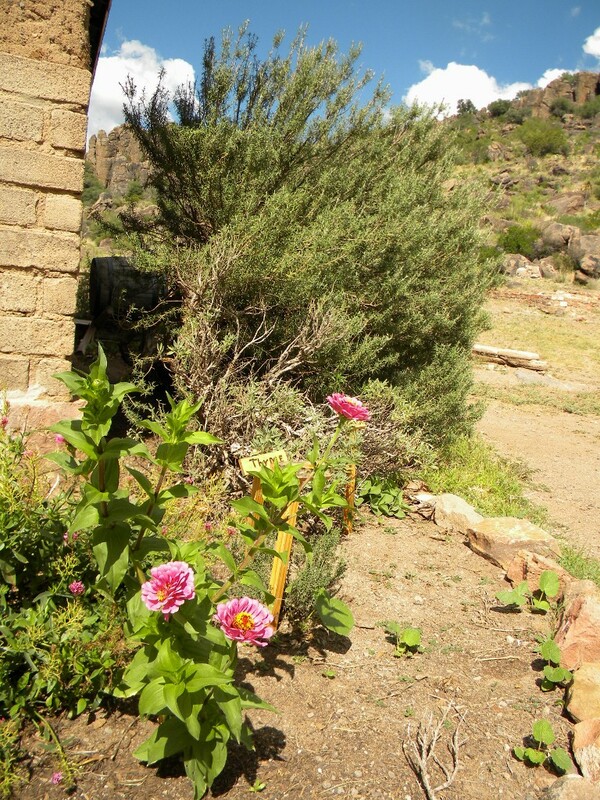 The Herb Garden is located just out the back door of Mrs. Grierson's Frontier Fort Kitchen...see post below. Alice Kirk Grierson was the wife of Commander Benjamin Grierson who organized the 10th U.S. Cavalry, one of two mounted regiments composed of black enlisted men and white officers, called the Buffalo Soldiers at Fort Davis, Texas. HiHoney and I visited the National Historic Site of Fort Davis, and of course I had to find a bit of Pink to share for Pink Saturday. Little did I know that this bit of Pink was one of Alice's Home Remedy Herbs. 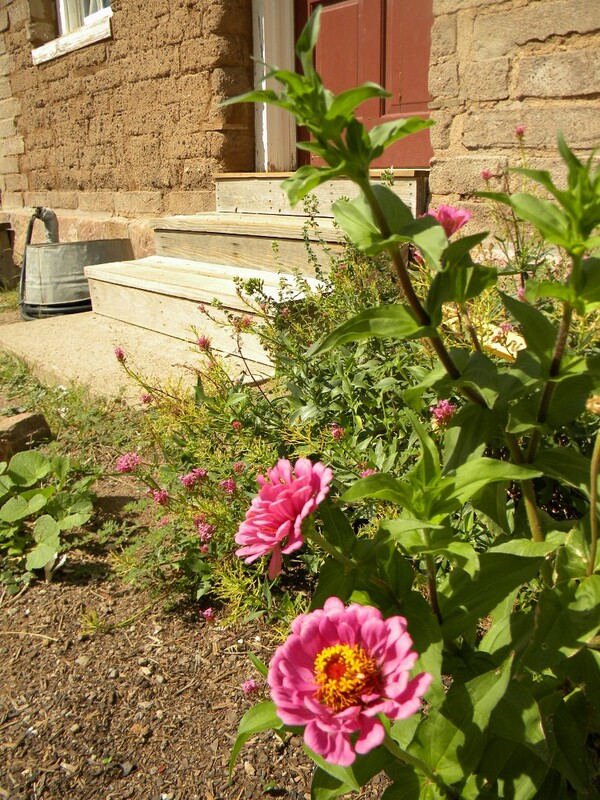 I was just so amazed it had survived the Boots of the Buffalo Soliders, the Comanches, the summer of 1875, and this summer's wildfires which burned thousands of acres in the Davis Mountains and came very near Old Fort Davis. Okay...back to 'The Pink Cure'... here you see a pan of dried Valerian on the kitchen counter, and although Alice didn't include the Valerian Neuralgia Cure Recipe in her Cookbook, I'm sure it was grown and used for that purpose or perhaps for her Homemade Perfume. That's right Ya'll...Homemade Perfume...one whiff would 'Cure Ya or Kill Ya"! 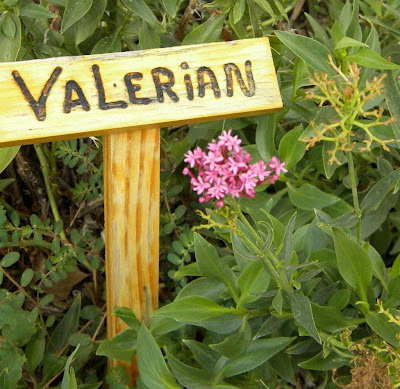 It is said that the 'Root of Valerian' produces an Oil that attracts Cats and Rats! no wonder Alice grew it in her garden. as the Lavender, Sage, Parsley and Lemon Balm. 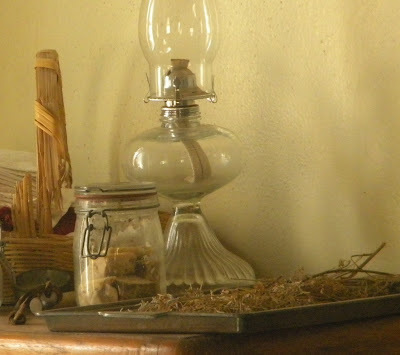 So there ya have it...A touch of Pink from the Wild West Frontier! Whiff of her Pink Roses! I often feel maybe I am sick in the head. None of these remedies would help I am afraid. Neat stuff... Sista Sue! I know how you feel LV! However, I'm thinkin mabe I'll try some of that Valerien! Hi Sue! I'm interested in herbal cures, but I have to admit I'm a tiny bit afraid to try them! Happy PINK! LOVE YOU! LOL ... great post. Valerian is used to get a good nights sleep too. Oh Sue leave it up to you to make us smile even with a headache! HA HA! You are one informative bloggin gal! I love it over here. I always appreciate your visits and smiles! 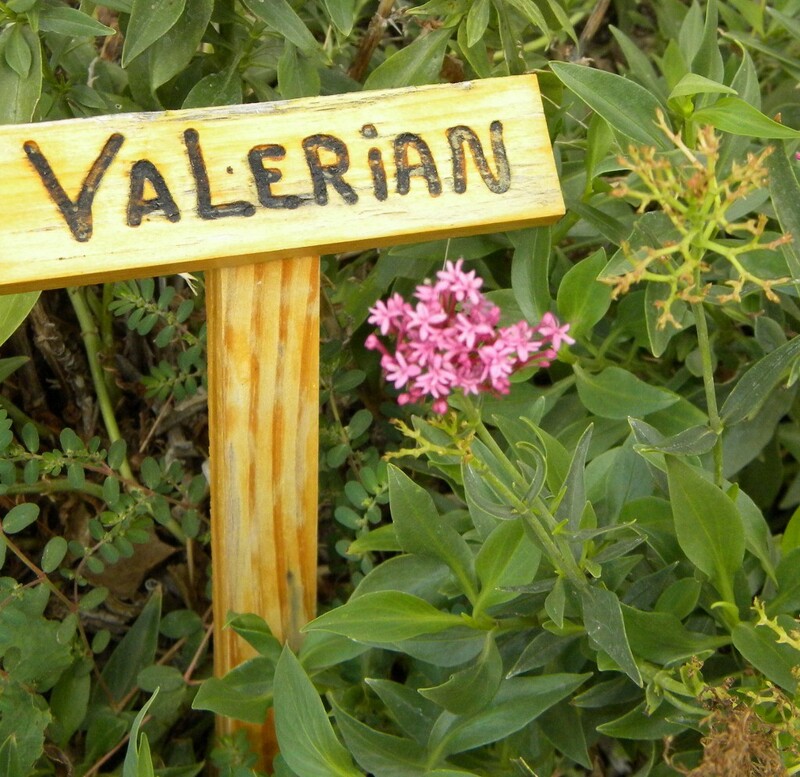 I tried Valerian years ago and I am a bit allergis to some of the natural remedies! It did not sit well with me but I am sick int he head! Since 1984 when they stuck this Made in Denver shunt thingy inside my head! My neurosurgeon at the time said perhaps had it been made in Japan, like the good ole days, I would not need to have had it revised twice! Ouch! That really hurt but I can now laugh about it. Happy Pink Saturday, Happy weekend and Hugs to you and HiHoney! That was so interesting. I love living history sites, and this looks like a good one. Hi Sue, I am now at my son's home where my computer is waiting for me to give her some love. So here is some computer love for you, finally. Beverly and I did have a fabulous visit. 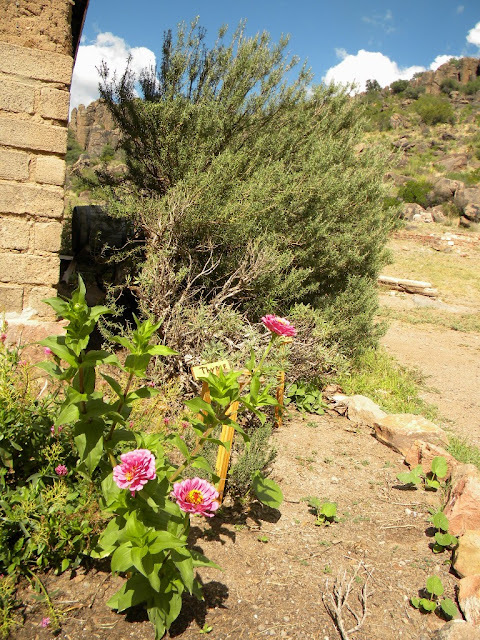 Love the pink medicine flowers and your story. You do a great job educating us about Texas. I love it. Right now two of my sisters who sell antiques are selling and buying at Round Top. They love to go there. This is the 3rd year they have gone. I know they are having fun. Neuralgia of the head. Maybe that is my problem. And, here I was thinking I had a sinus headache. Happy Pink Saturday, sweet Sue.